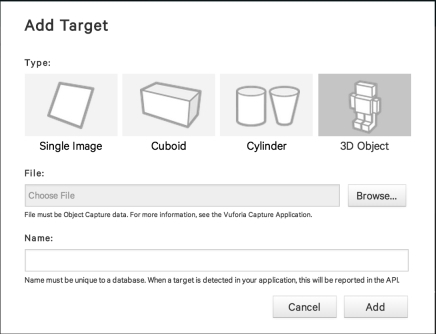 This guide will show you how to use the Vuforia Object Scanner app to create Object Data files – required for creating Object Targets. 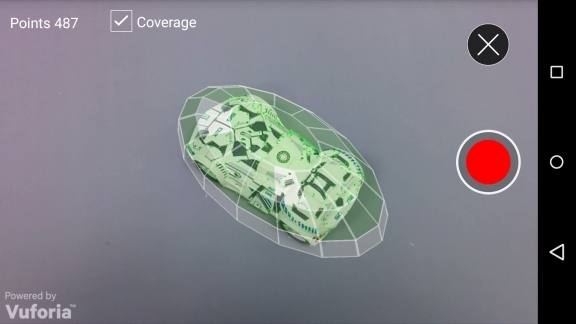 The Vuforia Object Scanner is an Android application that is used to scan a physical 3D object. The Object Scanner produces an Object Data (*.OD) file that includes the source data required to define an Object Target in the Target Manager. 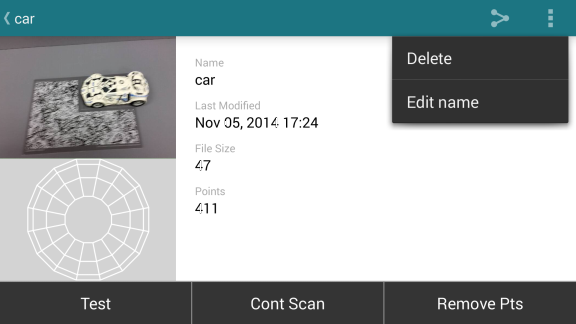 The Object Scanner enables you to generate, test and edit OD files. 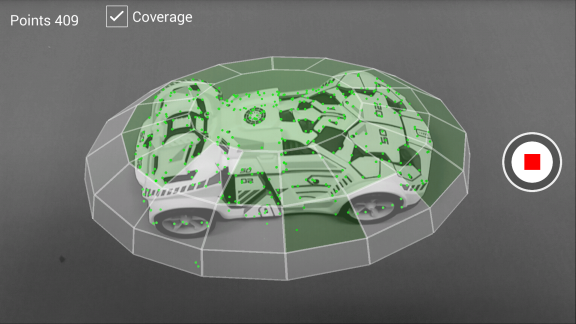 It provides a visualization of the object’s features as well as their coverage across the object. For latest information on the Object Scanner supported devices, please refer to the Vuforia Supported Versions document. Objects should be scanned under moderately bright and diffuse lighting. To the extent possible, the surfaces of the object should be evenly lit and not contain shadows caused by other objects or people. 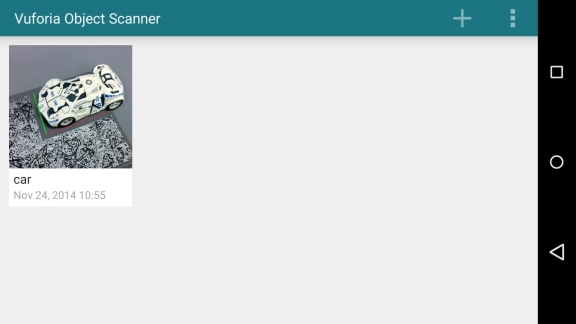 In this section, you will learn how to install and run the Vuforia Object Scanner app and print the required object scanning target image. 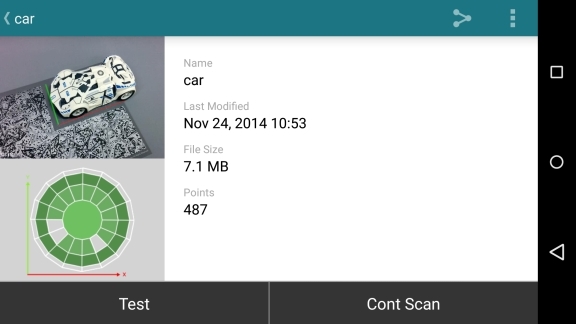 The Vuforia Object Scanner is provided as an Android APK in the Tools section of the Developer Portal. 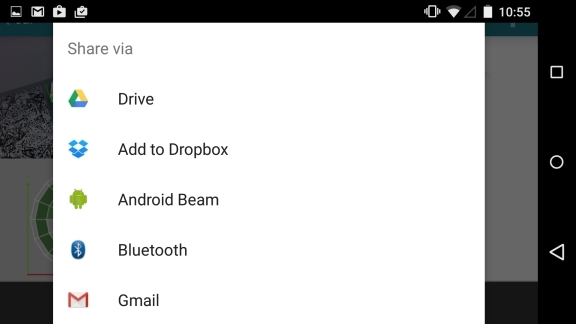 You’ll need to install this APK on your Android device using the Android Device Bridge ( ADB ). 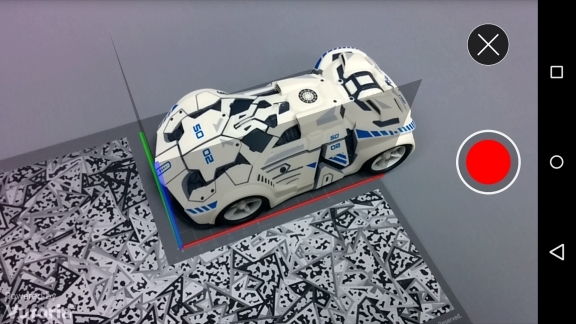 The Vuforia Object Scanner is supported on the Samsung Galaxy S5 and Google Nexus 5. Note that the app may not produce the best results on other Android devices. Once you’ve installed the Vuforia Object Scanner, simply launch the app from your device’s Apps screen. The app will present its Home screen on launch. This screen is where you can resume a prior scan or initiate a new session. Before you begin scanning objects, you’ll need to print out the Object Scanning target and understand how it is used. Be sure to print the target at its native size (100%). 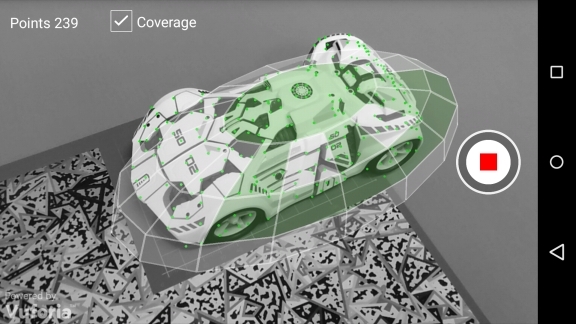 Modifying the target size will affect physical scale estimated by the Object Scanner. The Object Scanning Target is used to establish the position of your Object Target relative to its local origin. This origin is represented by ( 0,0,0 ) in the lower left hand corner of the Object Scanning Target's grid region and corresponds to the the local (0,0,0) of the Object Target prefab instance's bounding box. 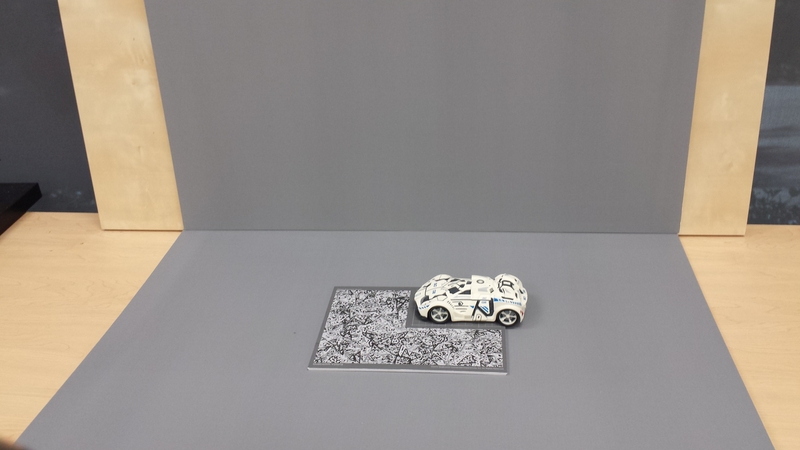 The unit scale of the grid is in millimeters, this unit is also used for the scene unit and the estimated physical object scale. In this section, you will learn how to scan an object and create an Object Data File – required for creating an Object Target on the Target Manager. If you haven’t already read the section "How To Setup an Object Scanning Session" above, please do that before proceeding further. To create an Object Data file by scanning an object, please follow the steps below. During the scanning session, you’ll use a predefined scanning target to define your Object Target’s position and orientation relative to the origin of its local coordinate space. 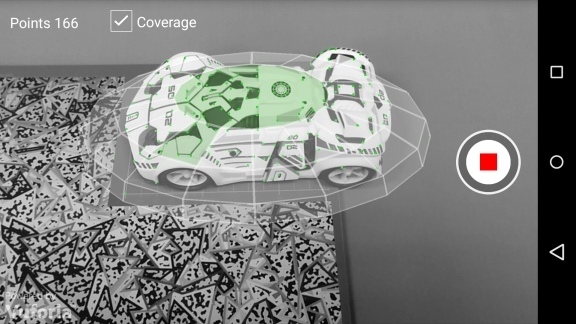 The Object Scanning Target is distributed with the Vuforia Object Scanner. 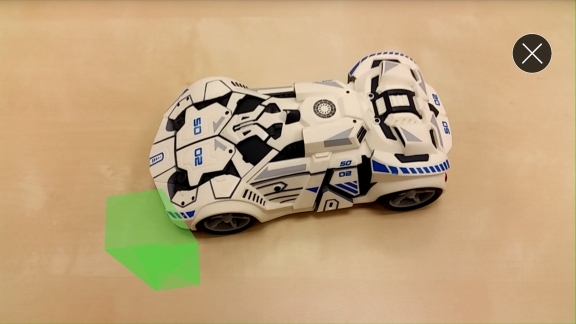 You'll need to print this target at its full size and then place the printed target in the scanning environment. The object you intend to scan should be placed on the grid area of the target as shown in the picture below. 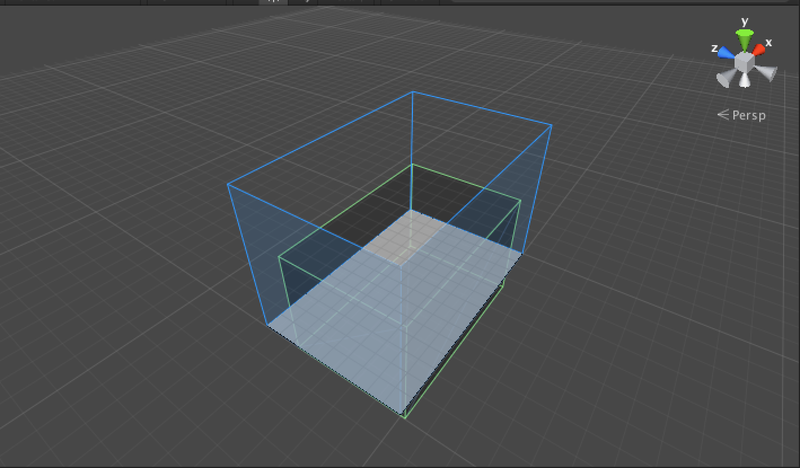 Note that this object is aligned so that its front left corner corresponds with (0,0,0) in local space. The feature region of the target, which is made up of overlapping triangular shapes, serves two roles. It enables the scanner to precisely identify the pose of the physical target in the grid region, and also defines the culling region of the scanning space. Surface areas of your object that extend into the target’s feature region will not be incorporated into the Object Target’s Object Data representation. Only the rear half of this object will be incorporated into its Object Data. The ability to cull areas of the target surface is useful for removing unsupported surfaces (e.g. featureless regions, pliable and articulating surfaces). 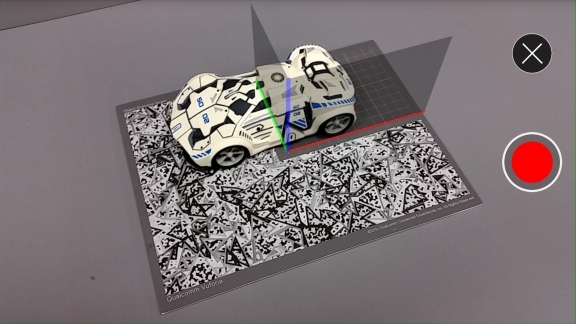 Culling can also be used to distinguish items in sets of objects that share surface features as sub-parts of a unique form. For example if the car above were a member of a set of similar cars that share a common front end but unique back ends, the cars could be individually recognized by only capturing the features of their back ends. The steps below outline in detail how to scan an object. Do not move the object or target while scanning. Moving the object on the target while recording a scan will corrupt the scanning results. 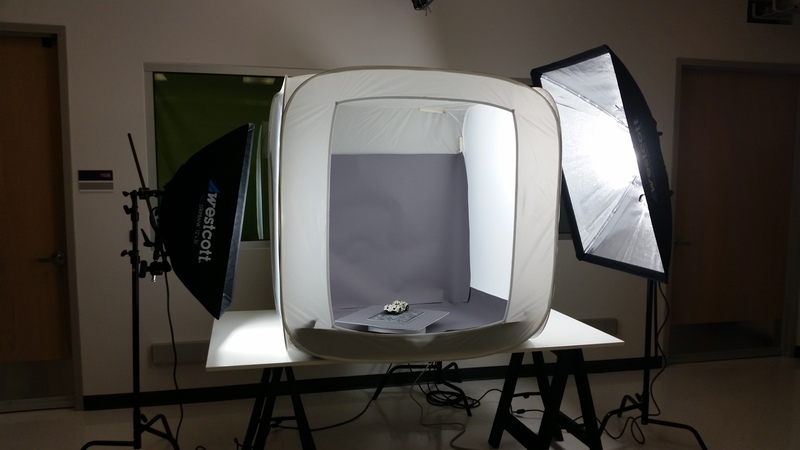 Place your Object Scanning Target in suitable lighting conditions. Once you’ve captured the majority of the surface areas that you want to use, you can stop recording, remove the Object Scanning Target, and resume recording against the plain gray background. You can also reposition the object before resuming the scan. Press the stop button to stop the scanning process. In this section, you will learn how to test an object that has been scanned directly from the Vuforia Object Scanner app. Before you proceed further, please make sure you read "How To Scan an Object and Create an Object Data File". Once you have scanned an object, you will be presented with a summary screen where you can review the results of your scan. You can test the results of your scan by pressing the Test button. This will present an augmentation at the world origin when the object is recognized. If you want to improve or add to the scan, go back to the summary screen and select Cont Scan. This will reload the Object Data file and you can continue to scan the object. Object Data file sizes reflect the number of feature points that had been captured when the object was scanned. It is possible to reduce the size of an Object Data file by following a few simple recommendations. Reducing Object Data file sizes can improve load times for Device Databases containing Object Targets and will also reduce your app's memory requirements. 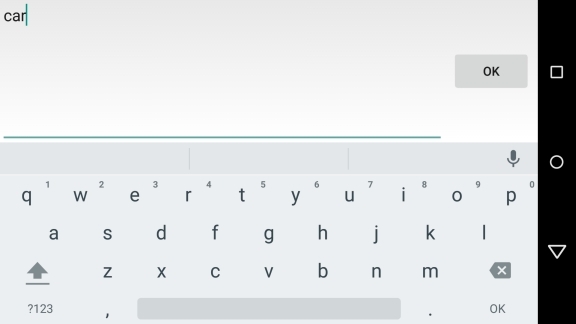 The VOS UI showing the captured feature points in the top left corner. It is possible to reduce the file size of an Object Data file produced by the Vuforia Object Scanner by limiting the number of features that you capture during the object scanning session. Only scan the faces of the object that are significant to your app's user experience. For example, if your app only uses the front of an object, don't scan the back or sides. If your app uses a stationary object, only scan one side of the object and enable Extended Tracking on your Object Target. Extended Tracking improves the robustness of tracking for stationary targets by capturing features of the surrounding environment. In this section, you will learn how to extract and upload an Object Data file that is created when you finish scanning an object. Before you proceed further, please make sure you read "How To Test the Results of an Object Scan" above. Once you have scanned an object and tested it you may make further edits to it by pressing the three dots at the top right of the summary screen. 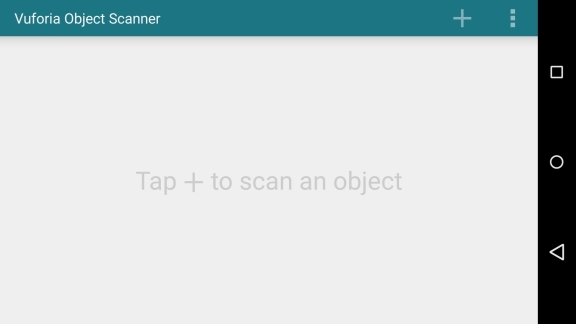 To upload your Object Data file to the Target Manager, go to the Home screen, select your object scan and then press the share icon. This will present a selection of apps that you can use to send the Object Data file to your PC. Be aware that the Object Data file can be large, so choose an appropriate method for sending large files. You can also transfer the Object Data file to a PC via USB using the Android Debug Bridge (ADB). The file path on the device is /sdcard/VuforiaObjectScanner/ObjectReco. Extract the Object Data ( *.od ) file from the zip archive sent from the Vuforia Capture App. Add the Object Data file to your Device Database in the Vuforia 5 Target Manager. Go to the Target Manager Home Page. Click the Device Databases tab. You will see a list of existing device target databases. In the list of databases, find and click the name of the database in which you want to add the new Object Target. Click Add Target. The Add New Target dialog opens. Select the Object Data ( *.od ) file that you want to use for this target. Type a unique name for the target in the Target Name field. The name must be unique within this device target database. The name should describe the object. The name can be changed later. The name can only include letters, numbers, and the underscore character ‘_’. Click Add. After a short processing the Target Detail page opens with the result of the upload.